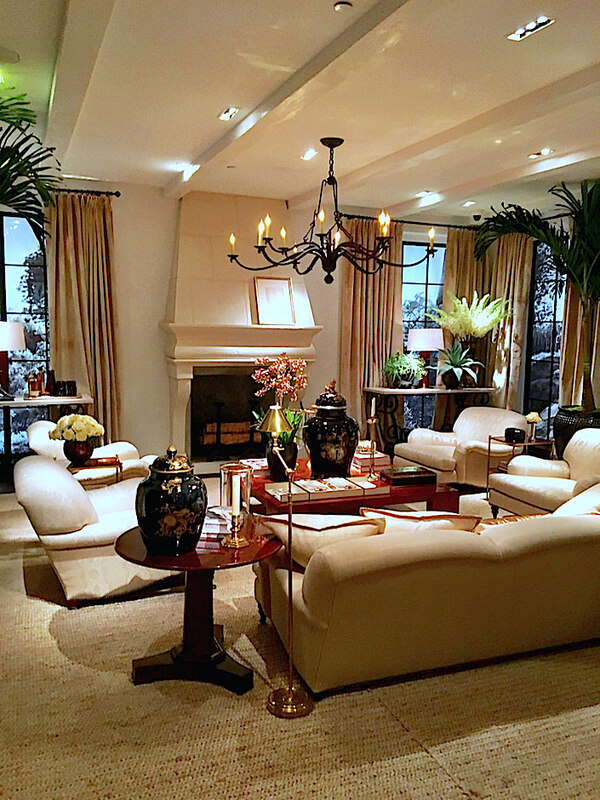 Twice a year, Ralph Lauren Home transforms their expansive Chelsea headquarters into livable vignettes to showcase their latest collections. 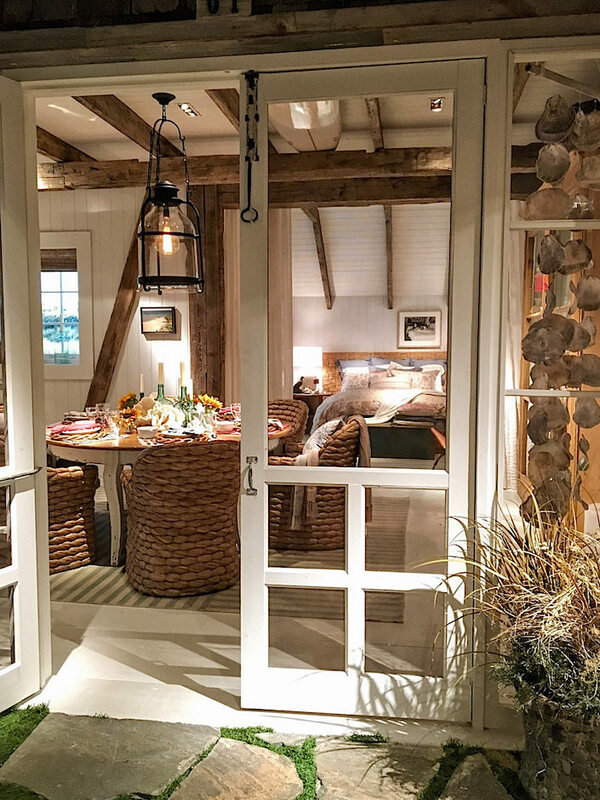 Last month I visited to see the three distinct spaces they outfitted for Ralph Lauren Home Spring 2017. 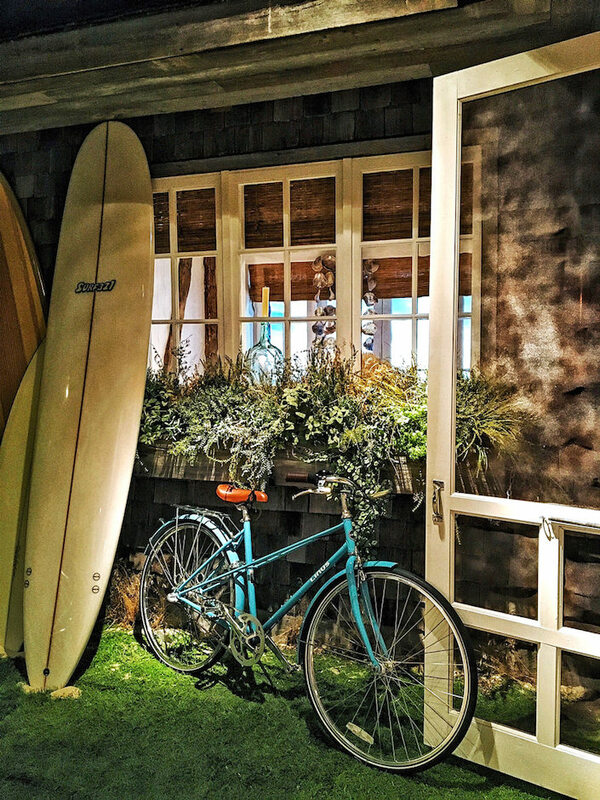 Having recently returned from my summer in Nantucket, I felt right at home in Half Moon Bay. 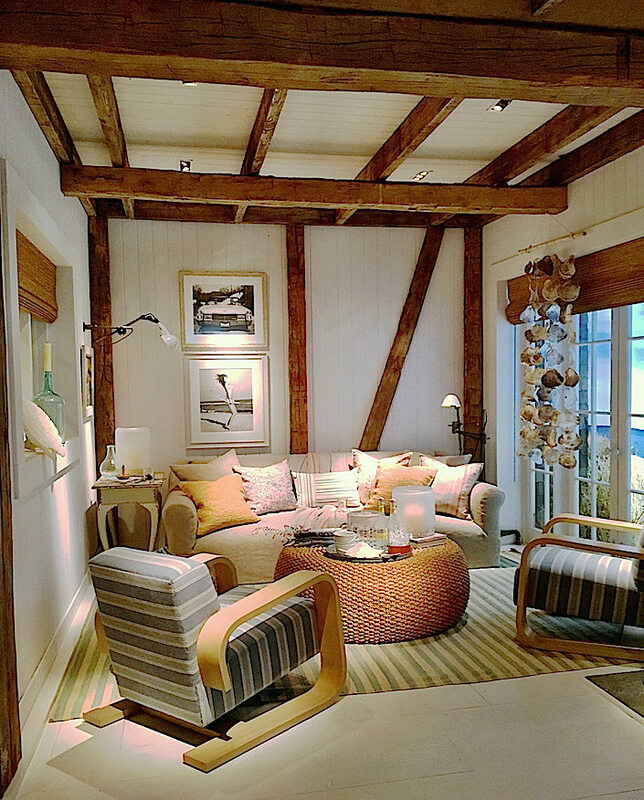 An eclectic beach lifestyle collection, it has a sun faded palette that suggests timeless summers and relaxed living. 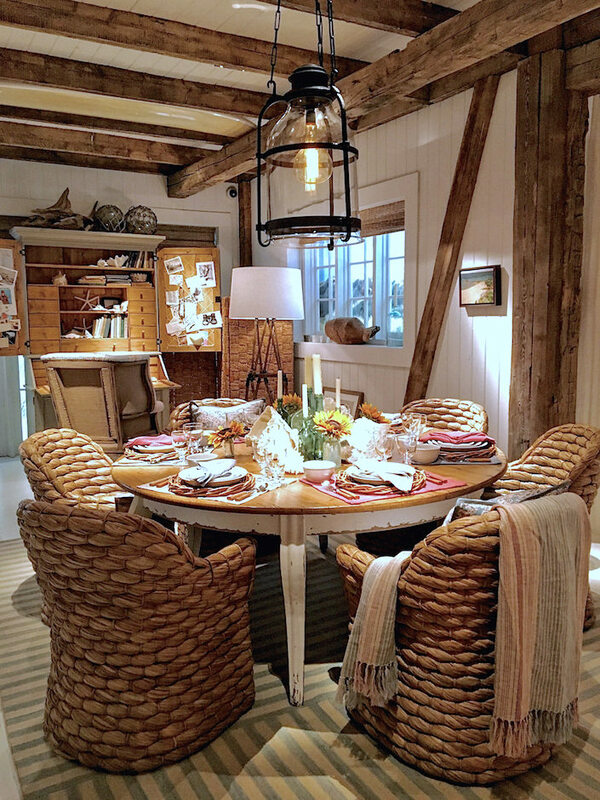 new pieces (available in mid-February) melded with many Ralph Lauren Home classics. Below, my favorite Joshua Tree dining chairs surround a Spring 2017 circular pine dining table in a new finish and slightly scaled down size. Above hangs the fabulous new indoor/outdoor Cheyenne lantern in aged iron with oversized Edison bulb. 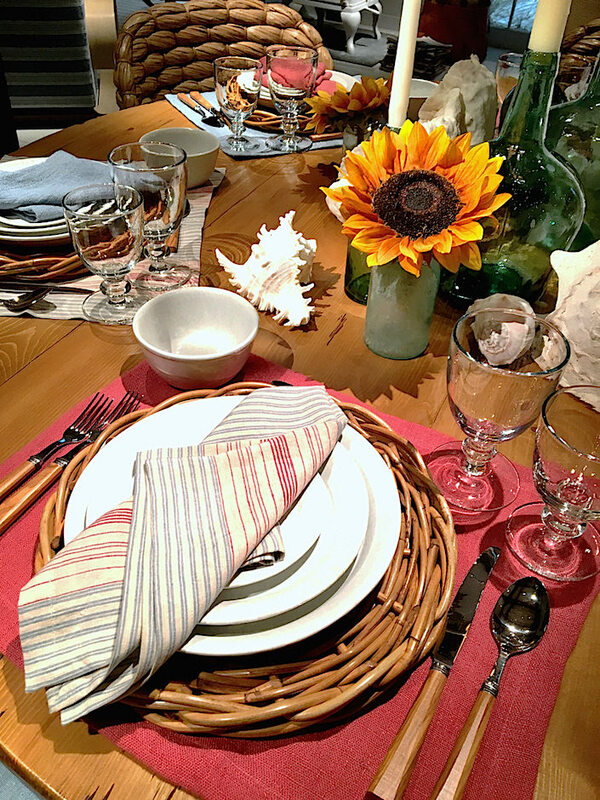 The tabletop featured new linens – the Harrison linen placemat in Western Rose and Remy stripe linen napkin – with the always versatile Zen olivewood flatware, Pernay rattan charger, Bennington white dinnerware and Sacket goblets. 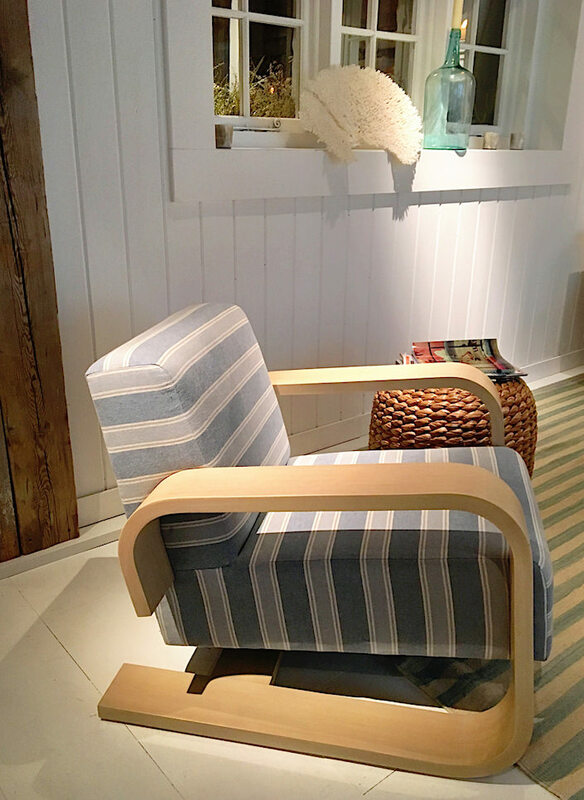 seen in the sleek new Cantilevered Lounge Chair, upholstered in Lurin Stripe linen. 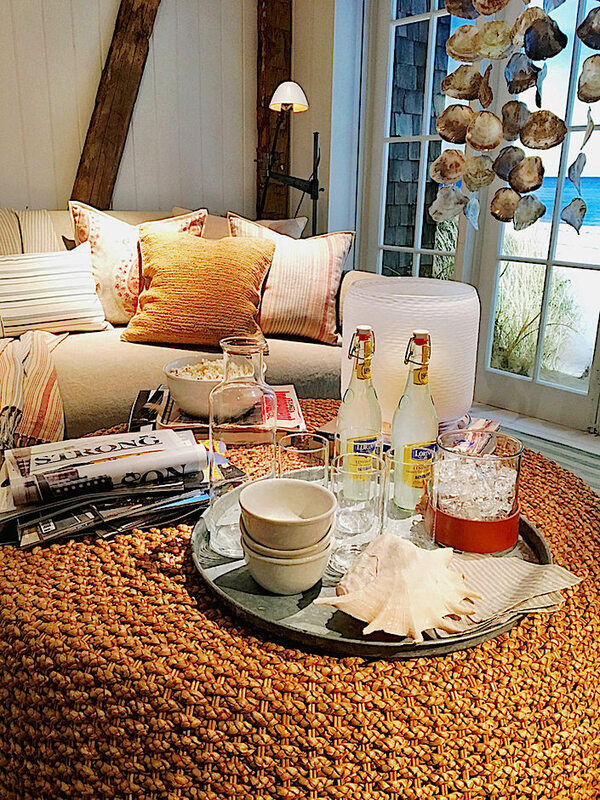 The stonewashed linen on the Nora Sofa and soft blue of the Canyon Stripe rug echo the collection’s endless summer vibe of an effortless beach home with ticking stripes, faded linens and colors and natural textures. The Desert Modern Woven Cocktail table from several years ago is perfect for casual entertaining with the new Cagan frosted glass hurricane seen in the back. 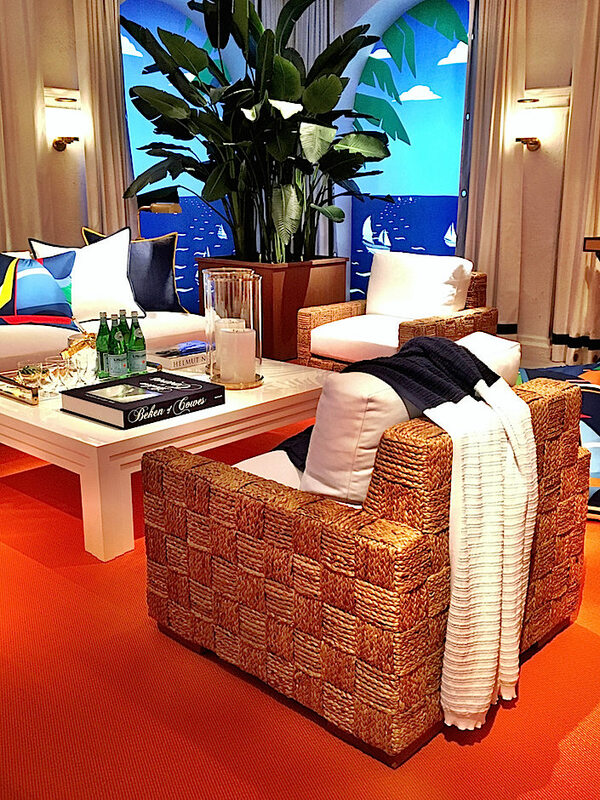 While Grand Plage is also beach related, this collection emulates the nautical chic of a French resort. In keeping with the theme, refreshments were delivered in style! 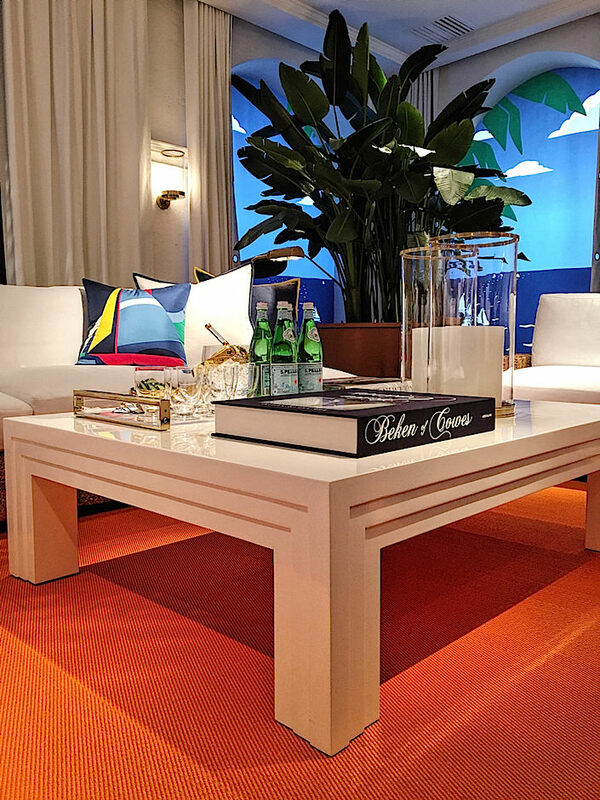 Inspired by the Ralph Lauren Spring 2016 runway collection, this vignette was crisp, bold and sophisticated, harkening back to the great French seaside towns of the 30’s. Above and below is the Cote D’Azur cocktail table in a chic white lacquer finish with classic Modern hurricanes in natural brass and chairs from the Black Palms collection. And the Jamaica Dining Table looks chic with its new white lacquer top! 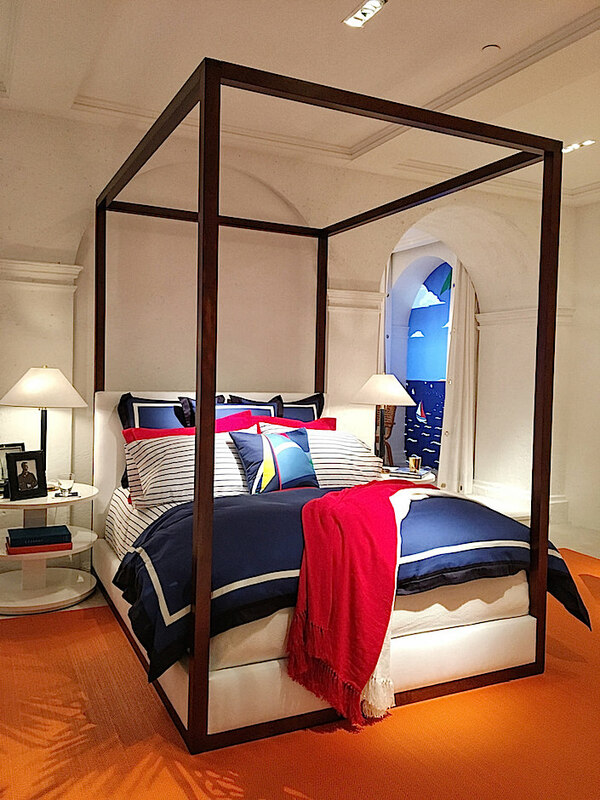 The Desert Modern canopy bed got an updated stylish look upholstered in a high performance neutral fabric and decked out in bedding, all new for Spring 2017. 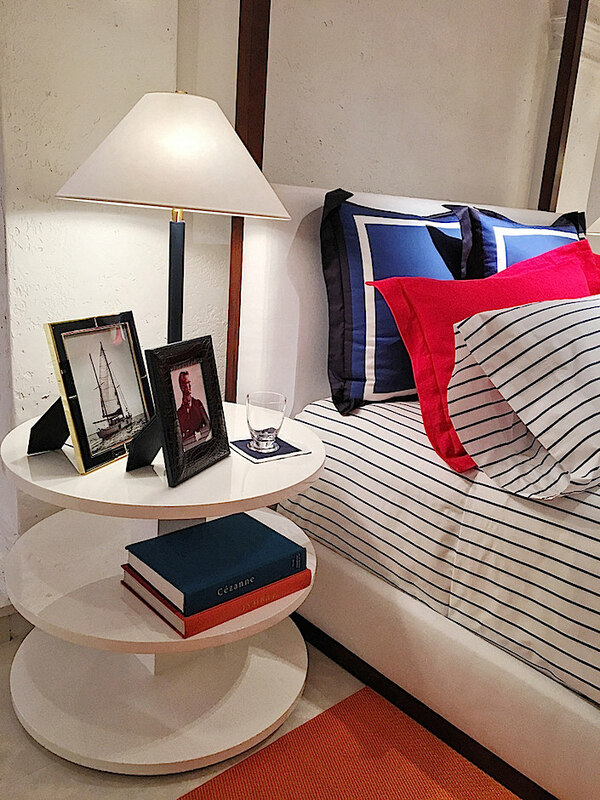 The Fountainhead tiered end tables are so versatile in their new white lacquer finish. 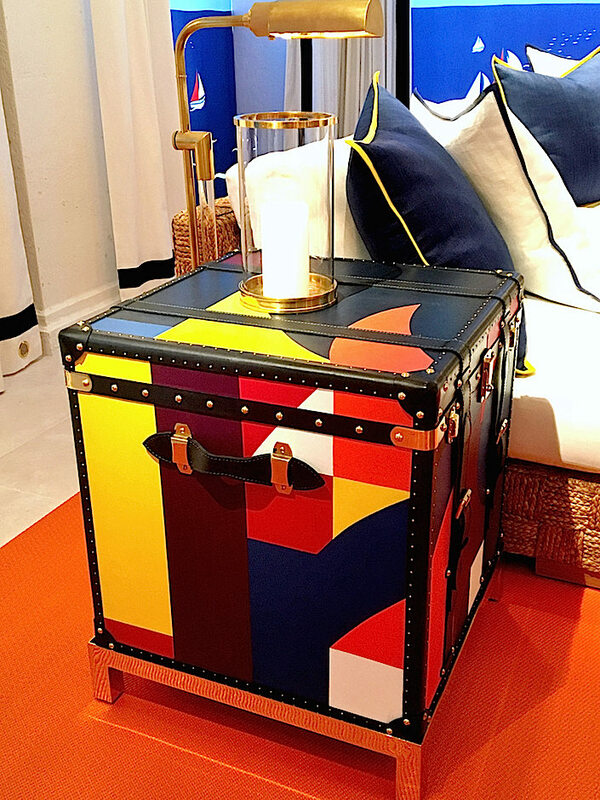 A highlight was the one-of-a-kind Grand Plage geometric leather trunk – going to a lucky someone who moves fast when it arrives at the Madison Avenue flagship in February. The third collection for Ralph Lauren Home Spring 2017 is Mulholland Drive, clearly inspired by old Hollywood, with a timeless glamour balancing rustic and refined. 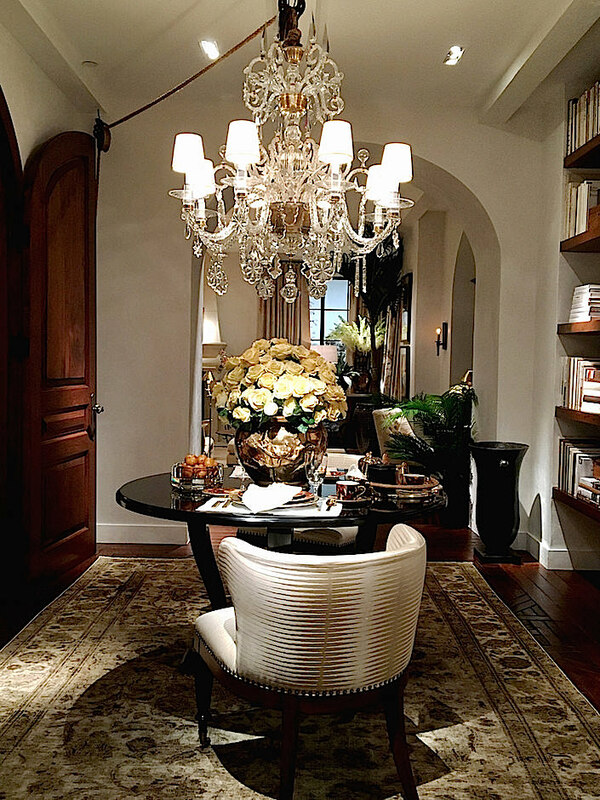 Dining à deux is luxe with the Baynard conversation chair upholstered in a new ivory damask at the sleek black lacquer Basalt hall table under the dazzling Alexandra chandelier. 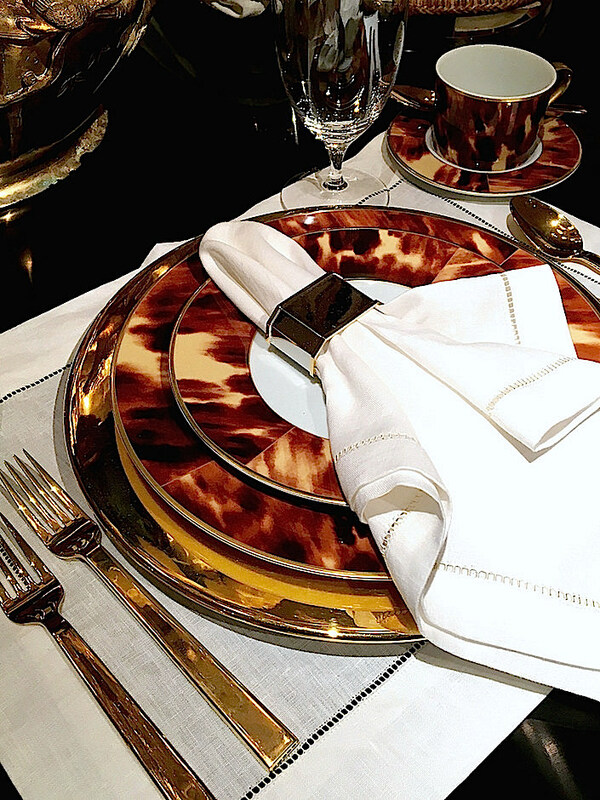 The table featured the always fashionable Sienna china with Somerville platinum charger, Academy gold flatware, Kenmore linens and a new addition to the beautiful Norwood crystal collection. With a neutral palette, the collection goes from champagne to sand for an elegant and casual California mix. 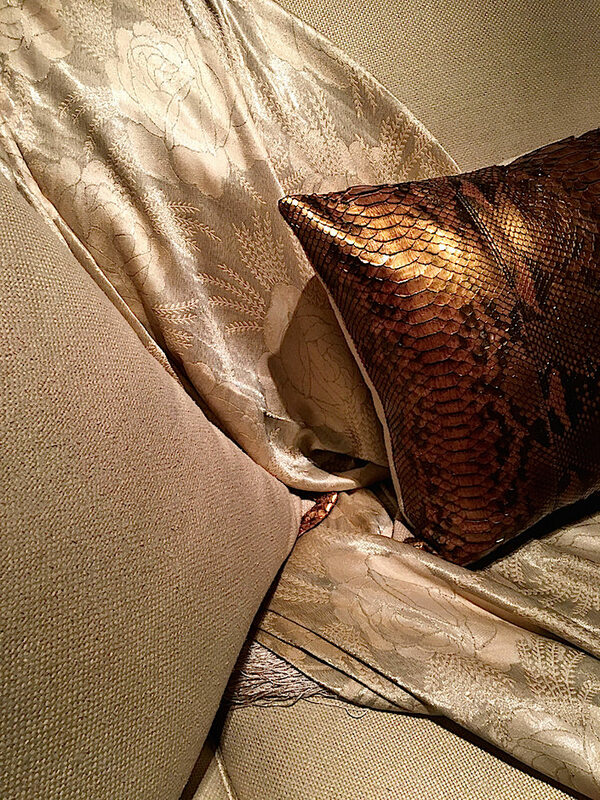 Below, the new Leigh silk jacquard throw against the Sur python pillow. 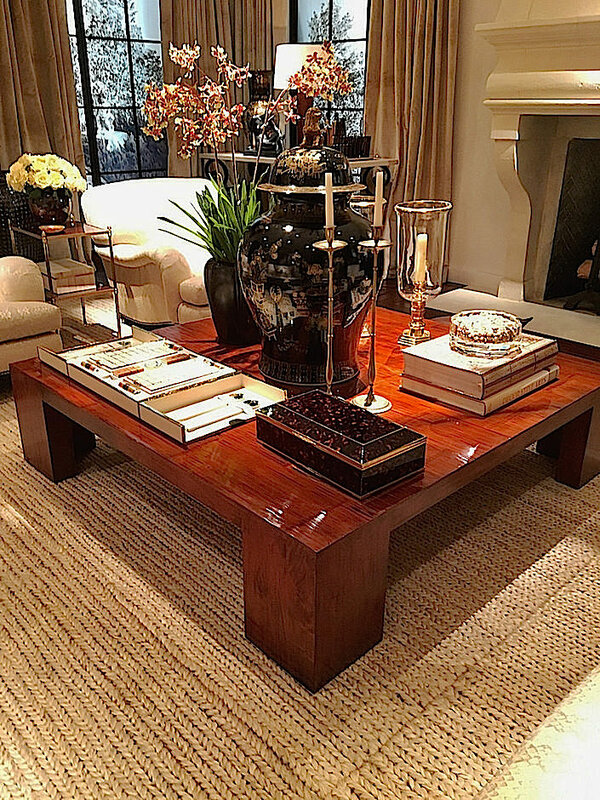 The stylish and substantial Crushed Bamboo cocktail table features new accessories for the collection – the cream leather Johanna mahjong set, Julian tortoise box and Leigh crystal bowl. 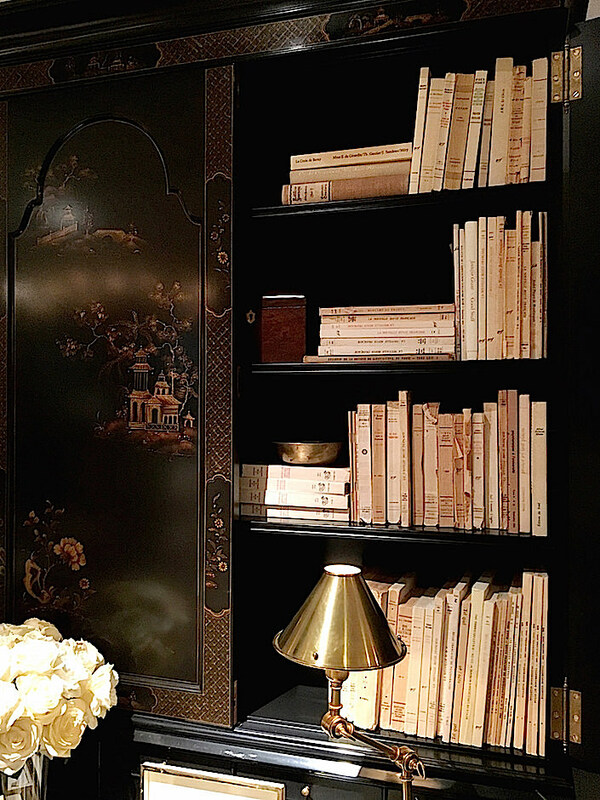 And the beautiful hand-painted chinoiserie Magdalene Secretary fit right in, lit by the Anette table lamp in natural brass. So many wonderful ways to update your home for spring with these new collections! 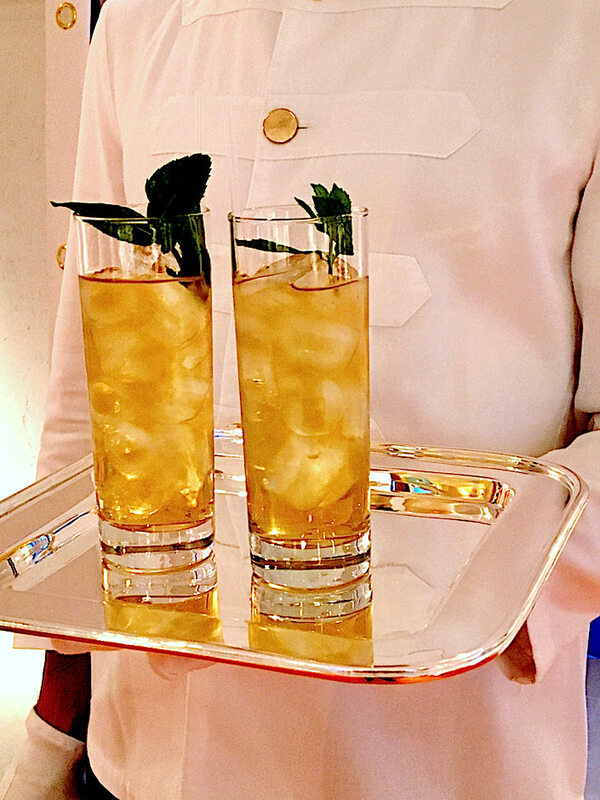 You can follow along with Ralph Lauren Home on Instagram to stay updated! 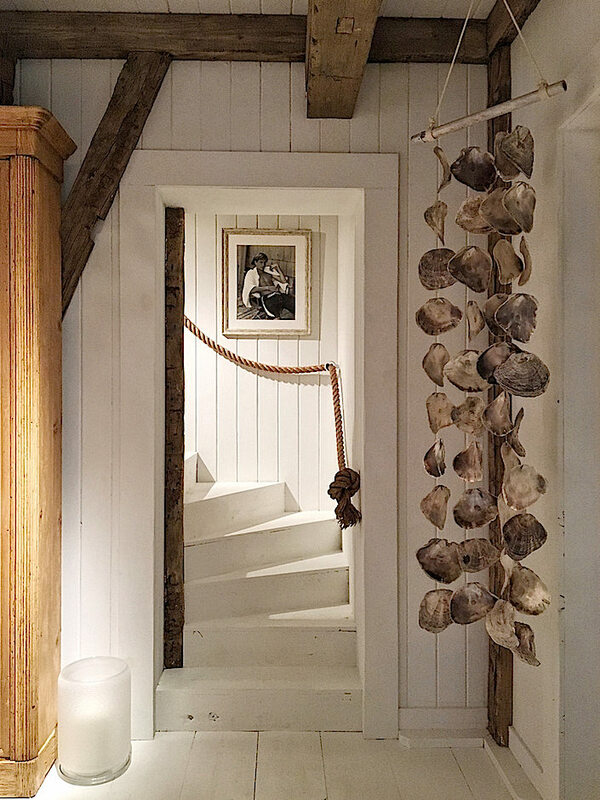 This entry posted in furniture, interior design. 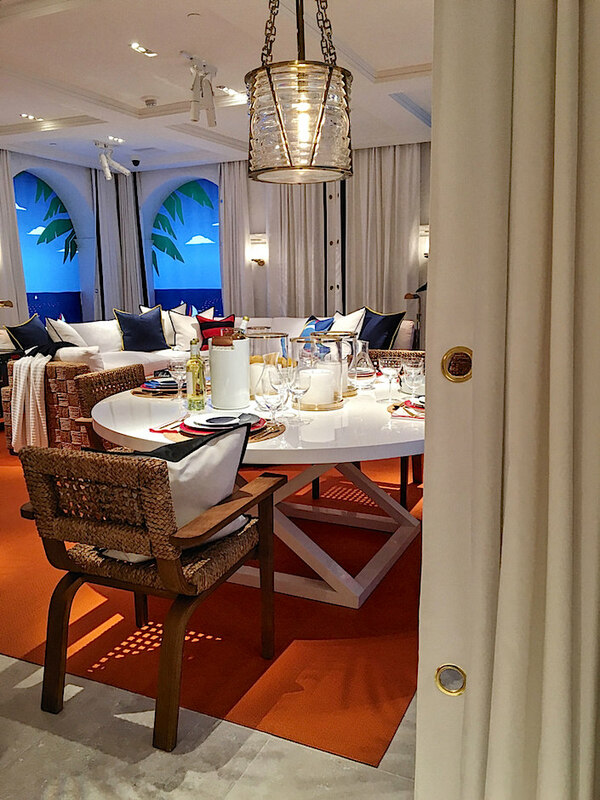 Entry Tags: Furniture, Home Furnishings, interior design, Ralph Lauren Home, Ralph Lauren Home Spring 2017, Tabletop Bookmark the permalink. Hi Justine – This is not a store open to the public – it is their media headquarters. I totally relate to the Mulholland Drive collection. Feels like home. That coffee table in particular. Right?? Loved this post. Love Ralph Lauren style. Thanks. 82 queries in 0.542 seconds.